The Justice Department was fully aware that the notorious Steele Dossier was connected to Hillary Clinton and might be biased - a crucial detail which was omitted just weeks later from the Foreign Intelligence Surveillance Act (FISA) warrant used to spy on the Trump campaign, reports John Solomon of The Hill. 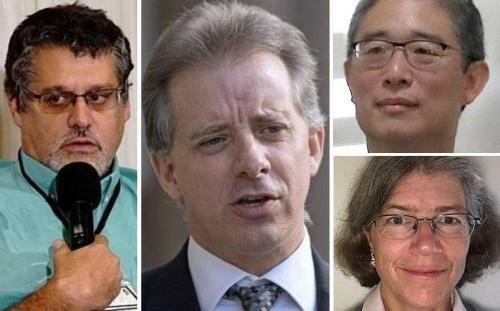 According to Solomon's sources - which have proven impeccable, the former #4 Department of Justice (DOJ) official, Bruce Ohr - who had extensive contact with Steele, briefed "both senior FBI and DOJ officials in summer 2016 about Christopher Steele's Russia dossier, explicitly cautioning that the British intelligence operative's work was opposition research connected to Hillary Clinton's campaign and might be biased." Ohr's activities also contradict a key argument made by House Democrats in their attempts to downplay the significance of the Steele Dossier; that the FBI claimed it was "unaware of any derogatory information" about Steele, and that the former MI6 operative was "never advised ... as to the motivation behind the research." The FBI further "speculates" that those who hired Steele were "likely looking for information to discredit" Trump's campaign. There was no "speculation" going on by the FBI. Thanks to Ohr's warning, they absolutely knew about Steele's bias against Trump while working for a Clinton-funded project to gather harmful opposition research on him. When lawmakers pressed Ohr as to why he would volunteer that information to the FBI, he answered "In case there might be any kind of bias or anything like that," adding later "So when I provided it to the FBI, I tried to be clear that this is source information, I don’t know how reliable it is. You’re going to have to check it out and be aware." Ohr also says he told the FBI that his wife and Steele were working for Fusion GPS - the same firm hired by the Clinton campaign through intermediary law firm Perkins Coie, and that they were conduction Trump-Russia research at the behest of Clinton's camp. 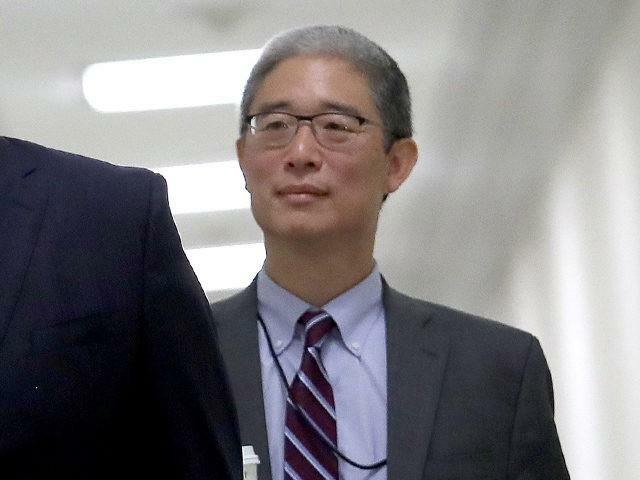 "These guys were hired by somebody relating to, who’s related to the Clinton campaign and be aware," Ohr told lawmakers, explaining how he warned the bureau. Perkins Coie eventually admitted to paying Fusion GPS, disguising the payments as legal bills when it was in fact opposition research. When Ohr was asked if he knew of any connection between the Steele Dossier and the DNC, he said he thought the project was really connected to the Clinton campaign, saying: "I didn’t know they were employed by the DNC but I certainly said yes that they were working for, you know, they were somehow working, associated with the Clinton campaign." "I also told the FBI that my wife worked for Fusion GPS or was a contractor for GPS, Fusion GPS," he added. In early 2018, Democrats on the House Intelligence Committee sought to downplay Ohr's connections to Steele during their investigation - insisiting Ohr only notified the FBI about Steele after Steele was fired by the FBI in November 2016 for improper contacts with the media. The memo from House Democrats - led by Rep. Adam Schiff's (D-CA), says that Ohr's contact with the FBI only began "weeks after the election and more than a month after the Court approved the initial FISA application." Ohr's testimony refutes Schiff's memo, making clear he was in contact with FBI and DOJ officials long before the FISA warrant or the 2016 US election. Not only that, "Ohr explicitly told the FBI that Steele was desperate to defeat the man he was investigating and was biased," according to Solomon, and the FBI didn't have to guess as to Steele's motives.